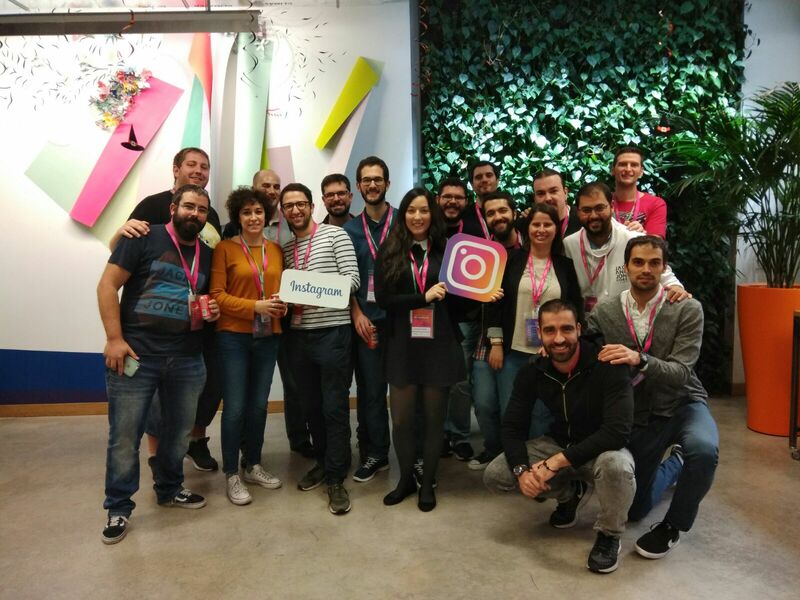 On Saturday 21st October, Adglow hosted its first Social Media Hackathon in Facebook’s Madrid HQ. The event started with a fuel filled breakfast to raise energy levels before participants got to work on their challenge of creating a functional and innovative software solution for advertising campaign management, using Instagram Stories with a deadline of six hours. The teams were made up of technology-related talent such as developers, programmers, data specialists, statisticians and designers. After teams were briefed on their challenge, they got to work on their concepts followed by lunch before presenting their projects to the judges. Groups were randomly selected to present their concepts and each group put their own spin on their unique solutions for Instagram Stories ads. Once presentations had taken place, the jury discussed who they felt had come up with the most innovative solutions and announced three finalists. In third place was team 8, made up of Orge Castellano, Victor Teran and Holley McShan who developed an optimization image tool for Instagram Stories Businesses that analyzes data collected from previous campaigns and generates feedback while agencies and clients review their content (ads) before their publication. Helping small and medium businesses that have not the budget for an advertising agency. In second place was team 5, made up of Jose Sánchez, César Arroba, Rubi Rincón, Ulises Medina and Victoria Scapino. 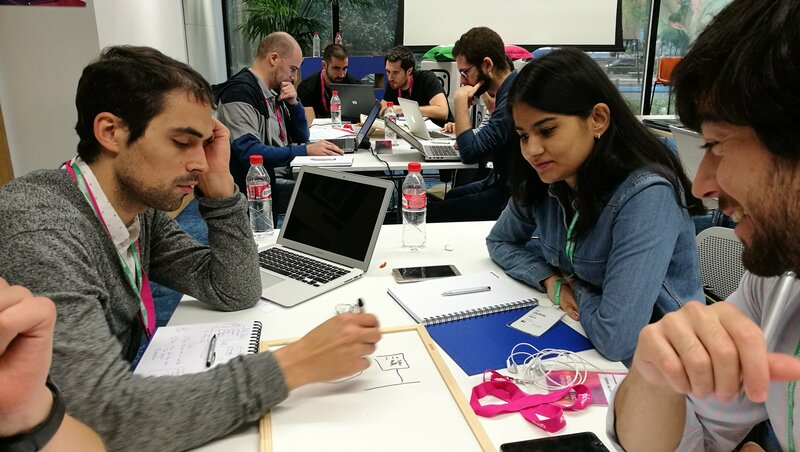 The teams idea was named ‘Crystal Ball’, a machine learning application developed with serverless tools from Amazon Web Services and integrated with a Facebook API which would provide the option to predict data for new Instagram Stories campaigns and be able to have an intelligent chat with a user which would provide data predictions. And the winning team was…Team 9!! 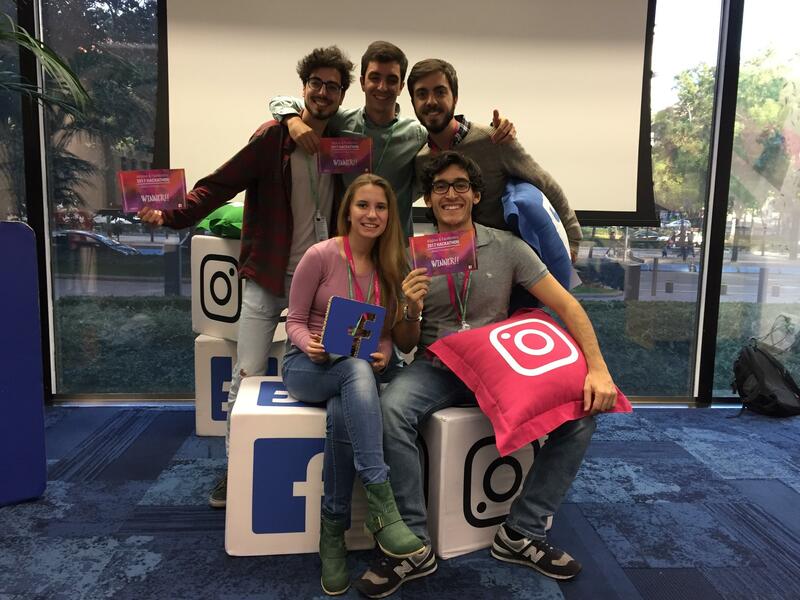 The winning team was made up of: Carlos Bort, Enrique Herreros Jiménez, Vladislava Rau, Marko Lovic and Ignacio Sánchez Jurado. The team presented the judges with a solution to optimise the Click Through Rate (CTR) with visual creative and tabular data. Since training up on Deep Learning algorithms takes a lot of time, they used a pre trained network as a proof of concept. The results were promising and the next steps would involve using features from past creatives to build more effective CTR optimisation algorithms. After winning teams were announced, the day ended with networking and celebrations at a local bar. The event was a success and we were extremely happy with the enthusiasm and determination shown by the participants at our first Social Media Hackathon. We’re looking forward to getting involved with more events next year! 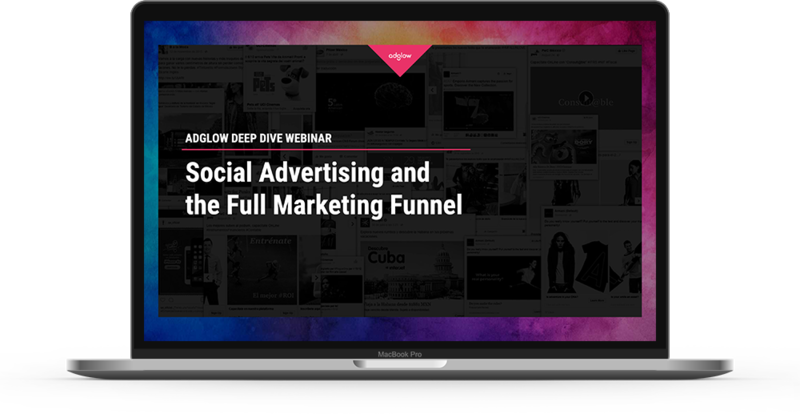 When Adglow was founded in 2008, we didn't have plans to become a social advertising specialist.